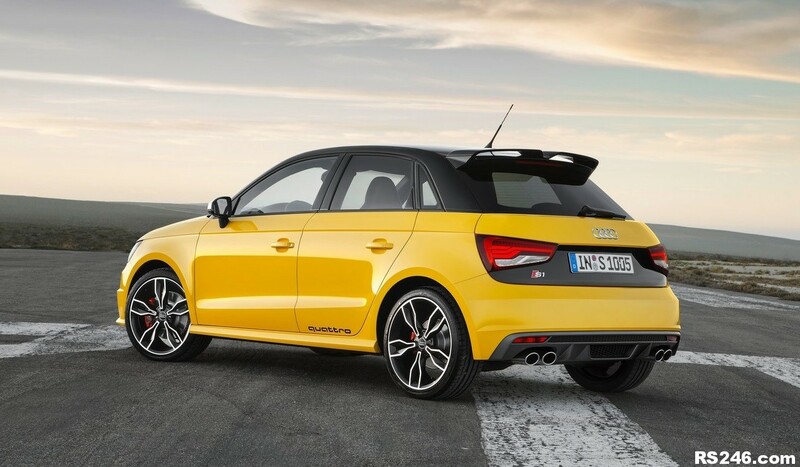 The World Rally Championship-winning Audi S1 of the 1980s has a new and fittingly thrilling namesake – the 2014 Audi S1 takes the proven framework of the A1 premium subcompact hatchback as its basis, injects it with 231PS of TFSI-derived thrust and shores up the result with quattro all-wheel-drive, which appears for the first time in a series production car in this segment. 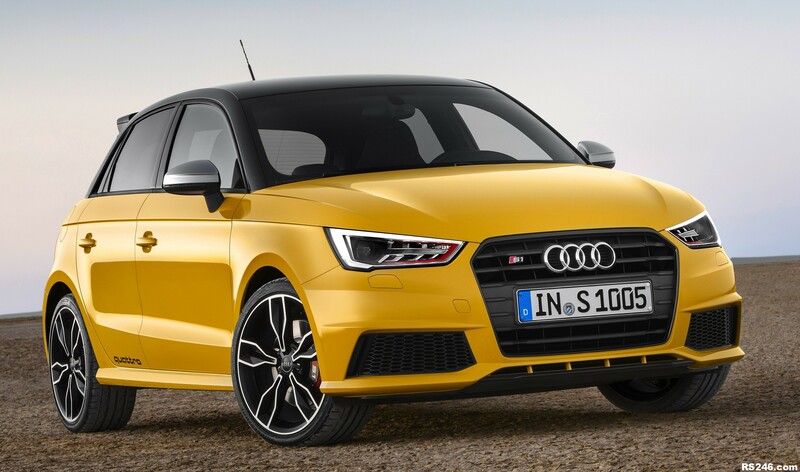 The new Audi S1 and five-door S1 Sportback will be available to order in the UK from mid-March priced from £24,900 OTR and £25,630 OTR, and will begin arriving here in the spring. 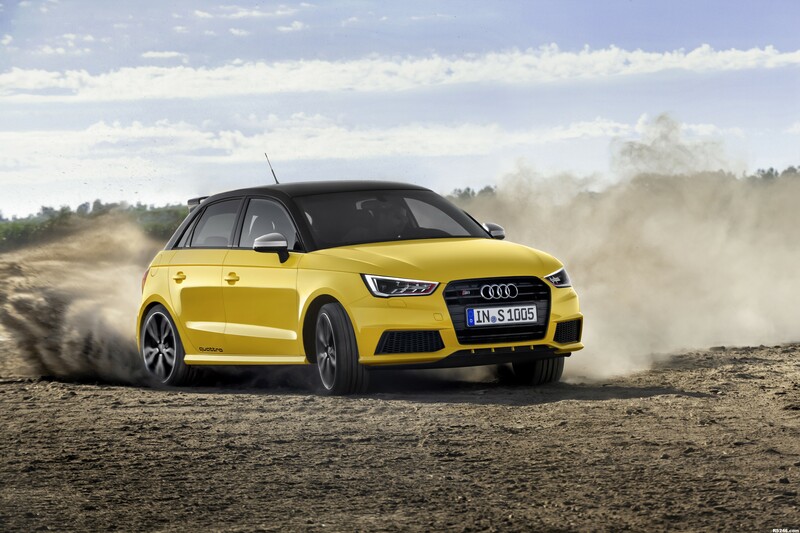 The firepower for the latest entrant to the S quattro Series is supplied by a new 2.0-litre TFSI engine linked to a short-shift six-speed manual gearbox. 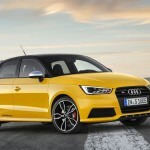 Good for 231PS and 370 Nm (272.90 lb-ft) of torque, it can propel the Audi S1 and S1 Sportback from 0 to 62mph in 5.8 and 5.9 seconds respectively, and on to a top speed of 155mph, while still upholding the A1’s reputation for impressive economy. 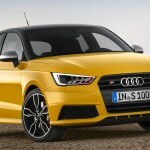 Up to 40.3mpg is achievable in the three-door version, or 39.8mpg in the Sportback, equating to 162 and 166 grams of CO2 per kilometre respectively. 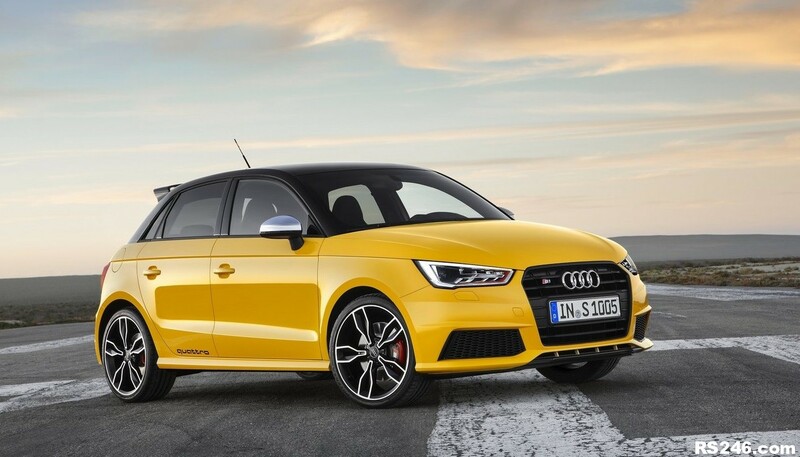 Like all Audi S models, the S1 and the S1 Sportback apply their power to the road cleanly and resolutely via quattro permanent all-wheel drive. At the heart of the system is a hydraulic multi-plate clutch located on the rear axle and operated by control software tuned specifically to suit the character of an S quattro model. The electronic differential lock with the fine-tuned wheel-selective torque control is a function of the Electronic Stabilisation Control (ESC). It features two-stage deactivation and supplements the work of the multi-plate clutch with additional finely metered braking intervention on the inside wheels – the interaction of both systems makes for extremely agile, precise and stable handling. 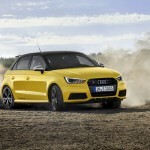 The suspension configurations in the two high performance hatchbacks have been extensively reworked, as has the electromechanical power steering. Modified pivot bearings on the front axle sharpen response when turning, and at the rear a four-link design replaces the torsion beam suspension used for ‘standard’ A1 models. Damper settings are also adjustable via the Audi drive select adaptive dynamics system, which appears for the first time at this level in the S1 and also allows the driver to vary the response of the throttle and the operating parameters of the electronic climate control across a number of settings, including one designed to optimise efficiency. 17-inch wheels with 215/40 R17 tyres will be standard in the UK, with 18-inch alternatives available as an option, and a larger brake master cylinder and large brake discs – the front pair measuring 310 millimetres in diameter – ensure suitably steadfast deceleration. 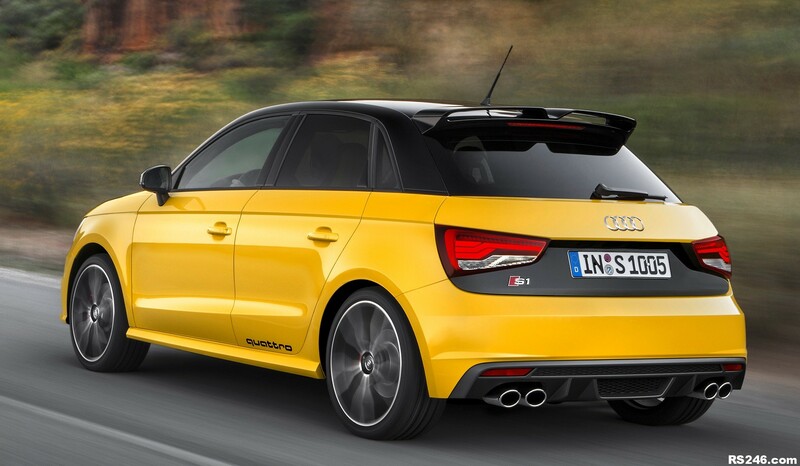 Striking ‘S’-specific styling aligns the S1 with the thirteen other members of the performance-oriented S quattro series, as do standard xenon plus headlights, which are linked here to LED rear lights with new, horizontally structured graphics. 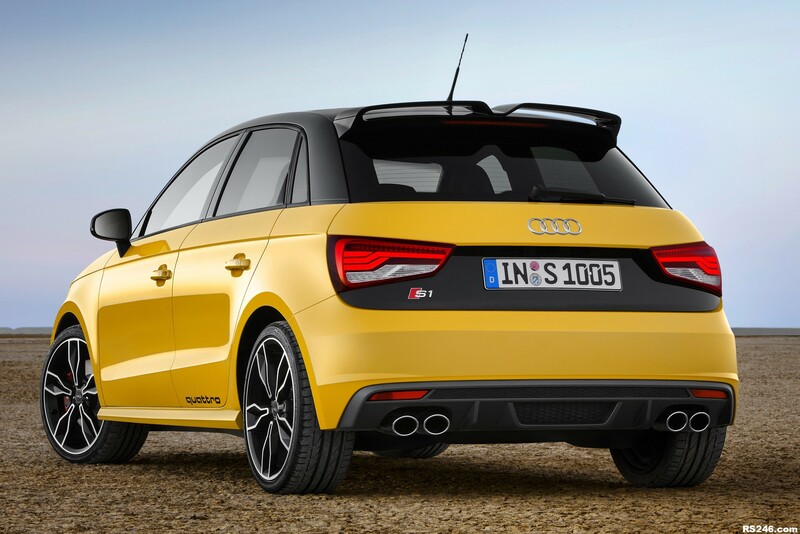 Two new exterior colours – Vegas yellow and Sepang blue – supplement the available paint finishes, and to add more visual drama an optional quattro exterior styling package incorporating a sculpted roof spoiler will also be available. The interior of the two most compact S models is finished in dark tones. The high gloss air vent sleeves have a piano black finish, the instruments feature S-specific dark-grey scales, and in contrast the pedal caps are in brushed stainless steel. Sports seats with combination Milano leather and Olympic cloth upholstery are standard, as are creature comforts including electronic climate control, a six-speaker single CD audio system with auxiliary iPod connection and SD card reader linked to a 6.5-inch retractable colour display, a Bluetooth interface and a Driver’s Information System. 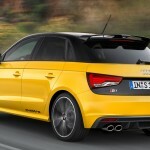 From the options list customers can choose S sports seats in black Fine Nappa leather with more pronounced bolsters and integrated head restraints for even more rigid in-seat support, or opt for a quattro interior styling package which includes these and adds a choice of three colours – high gloss black, red or yellow – for sections of the backrest. The quattro styling package also adds enhancements such as a flat-bottomed leather multi-function steering wheel with contrast stitching in silver, red or yellow, door armrests in black leather with contrast silver or yellow stitching or in steel grey with contrast red stitching, air vents in high gloss black with a red ring and a high gloss black, red or yellow finish for the centre console. Black floor mats with double piping in contrasting colours complete the look. 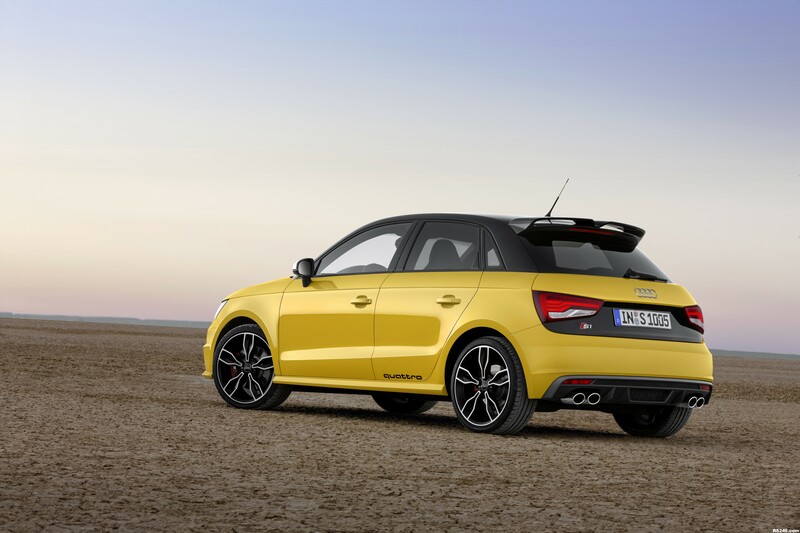 More familiar optional features available for the S1 include the advanced key keyless access and ignition system, hard disk-based MMI navigation plus, the Bose surround sound system and mobile phone preparation – High with Audi connect. 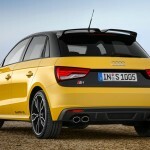 The Audi connect option gives passengers access to an array of Internet-based services such as Google Earth and Google Street View and enables them to surf and send e-mails on their mobile devices via a Wi-Fi hotspot.